There are no easy answers to the problems. POLA Director of Communications Phillip Sanfield said that as of November 12, there were 11 ships at anchor collectively at POLA and POLB, with nine container vessels and two bulk carriers, and over the last month he noted there has been anywhere between 7 or 8 -to-10 or 14 ships at anchor at any given time, which is highly unusual, especially during Peak Season as there are rarely ships waiting at anchor to get into berths. Sanfield also cited how the depleted trucker pool and the lack of available chassis to transfer ocean containers are major contributors to the port congestion. The Long Beach Press Telegram recently reported that the POLA brought together three major chassis providers and a terminal operator— Direct ChassisLink Inc., TRAC Intermodal, Flexi-Van and SSA Terminal—whom collectively have more than 95,000 chassis to create a pool system to share the chassis at the POLA and POLB complex. These various issues, coupled with the timing of peak season and the ongoing labor negotiations, which appear far from agreement, have created a perfect storm. 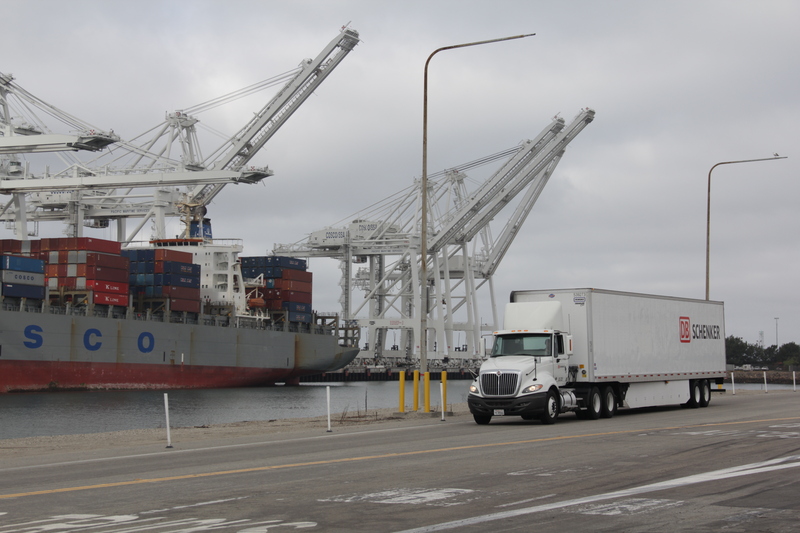 Sanfield stressed that the congestion is not a direct result of the labor issues, explaining it is part of the big picture, as well as a sensitive point with the ILWU believing PMA is calling them out for congestion issues. “What we are saying is that there are a number of reasons out there, and the fact that there is no contact has not helped as we cannot have labor and terminal management at the table solving these issues when they are focused on solving their contractual issues,” he said. “We are working on all sorts of options. The chassis business model we think is a good step in the right direction and we are working closely with POLB on some of the other logistical issues, and the port has offered up some of its backland space during this congestion time to some of our terminals for either chassis storage or maintenance or actual cargo storage to relieve some of the capacity at the gates. When the gates have been operating at above a 90 percent utilization rate that is really unheard of because normally full operations would be at 80 percent. This is a highly unusual situation that we are trying to correct around the clock.” Even with the current congestion issue largely still in a state of flux, it is not likely port operations will come to a halt.